Are You Looking For An Eye Exam in North Vancouver , BC? 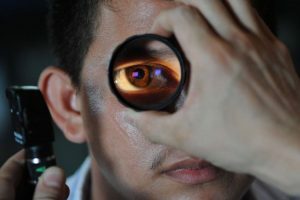 During a complete eye exam at Lions Gate Optometry & Optical, your eye doctor will not only determine your prescription for eyeglasses or contact lenses, but will also check your eyes for common eye diseases, assess how your eyes work together as a team and evaluate your eyes as an indicator of your overall health. A comprehensive eye evaluation includes a number of tests and procedures to examine and evaluate the health of your eyes and the quality of your vision. These tests range from simple ones, like having you read an eye chart, to complex tests, such as using a high-powered lens to examine the health of the tissues inside of your eyes. 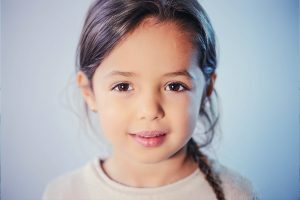 Some experts estimate that approximately 5% to 10% of pre-schoolers and 25% of school-aged children in the greater Vancouver area have vision problems. According to the American Optometric Association (AOA), all children should have their eyes examined at 6 months of age, at age 3 and again at the start of school. Children without vision problems or risk factors for eye or vision problems should then continue to have their eyes examined at least every two years throughout school. The AOA recommends that children who wear eyeglasses or contact lenses should have their eyes examined at least every 12 months or according to their Burnaby eye doctor’s instructions. At Lions Gate Optometry & Optical we specialize in pediatric optometry.